I learned how to make summer recipes when I was very young. When I think about summertime recipes, I think about picnics, barbeques, camping recipes and grilling out. From the time that I was little, summer weekends at Mom and Dad’s house were all about cooking outside. When I was about seven years old, all the men of the family gathered together on weekends to build us a huge stone fireplace in our backyard. After this, on weekends and summer holidays, the large back yard filled up with our big family, extended family and friends. At this time the men took over the backyard to do the bbq recipes and the women were in the kitchen making the barbeque side dishes. Some of our family members played musical instruments so quite often the acres bellowed with great tunes of yesteryear. Fourth of July was really a special day at home; along with all the good food and great music, we had the best fireworks display in the area. Grilling and cooking outside has been popular for thousands of years. The outdoors was mans first kitchen, not just for learning how to make summer recipes. The magic of the open fire provided the first cooking stove. This oldest culinary technique has made many advances throughout the centuries. For a period of time Americans abandoned the open fire technique for the convenience of a modern kitchen. Even since my backyard experiences as a child, I have seen many changes. Back then I would not have considered doing the outside cooking; the men did it. The days before a lot of wood was brought up close to the huge fireplace. Early in the morning the fire was started and it was kept ablaze all day. It was a lot of work and this was the men’s only job that day. They always cooked steak, ribs, hamburgers and hot dogs. My grandfather use to have huge fish fries (all kinds of fish and fixed in all kinds of ways) in his yard before he passed but we never had fish. Outdoor barbequing (or outdoor cooking) was just beginning to be fashionable again as I married and started raising my family. Unlike when I was young, families were now gathering on their patios learning how to make summer recipes. Families gathered around outdoor cooking equipment like various types of charcoal grills and many WOMEN all around me were doing the cooking. I decided to buy a grill! It was called a brazier grill and it cost $3.99. I placed the charcoal in the bottom and the grill could be raised or lowered to adjust the meat the right distance from the heat. This was OK for my first grill and it worked OK for hamburgers, the adjusting did not work long and the rack soon became crooked. Even back then, $3.99 was cheap for a grill! Since that first grill, I have gone through many. The next one was a kettle grill; one with the lid but also using charcoal for the heat. The lid was nice but again I had trouble adjusting the rack after a while. Many parks have hibachi grills for visitor to use as they prepare their summer recipes so I tried them out; these are made of cast iron and great for durability but all I have seen are too small for much cooking. Later I bought a rotisserie grill thinking how nice it would be to put chickens on the rotisserie. This way of cooking chicken takes more time of constant watching; way more time than I had. I never tried a smoker grill but I do have a new one which has never been used; I think that will also take too much time. I decided to switch to gas grills which are now very popular. These seemed to me to be much more convenient to use. Just flip a switch and you’re ready! I am into saving time! For the first one, I decided to get the deluxe; total kitchen in one. To my disappointment, it was just too much! Too much weight to move around when needed to do so. Too much space and too many shelves which I never needed. The gas grill that I have now I really like; easy to operate, light and easy to maneuver. It is just a basic gas grill with lid having three sections for grilling each independently lit; you can light one, two or all three. I also have two side burners which are great for additional cooking with pots. I use all of these burners (you may not). I depend on this grill especially when we have power failures and not just for summer recipes; the side burners are great for a pot of coffee or tea. I definitely love the gas grills over charcoal; so much more convenient and time saving. Shopping for an outdoor grill takes careful consideration to fill your needs. Most of the grills are made of sheet steel. For durability and good heat retention the steel should be of a heavier quality; if too thin the hot coals will burn through. The exterior finish might be of porcelain enamel finish or heat resistance paint; the porcelain finish will hold up better to the heat and rust. Make sure the wire racks are coated with nickel chrome, making cleaning easier. Check the rack to make sure it is sturdy preventing the problems like I had with my first grill; bending under the weight of the food. Make sure the legs of the grill are secure and sturdy and firmly fastened to the firebox of the grill. Before purchasing any grill or smoker, check out all vents, cranks, levers, handles, hinges, wheels and any other moving parts to make sure they are all in working order. This prevents later frustration and makes it easy to enjoy summer recipes! Below are some great summer recipes for outdoor cooking. Beef kabobs are always a hit with the delicious flavor of marinade, onions and green bell peppers. Add a fresh picnic pasta salad recipe and a luscious dessert. No party is complete without chocolate and what could be more luscious than a chocolate Mississippi mud cake recipe. Combine oil, lemon juice and dry salad dressing mix; pour over beef cubes in shallow dish. Cover meat mixture and refrigerate for at least 1 hour. Thread beef on skewers alternating with green pepper and onion pieces. Grill kabob on uncovered grill over medium hot heat or coals about 15 minutes. Brush with marinade often turning to brown on all sides. Add tomatoes on end just a few minutes before cooking completion. Thaw tortellini as directed on package; drain. Blend in tomatoes, olives and salad dressing; mix well. Just before serving stir in fresh spinach. 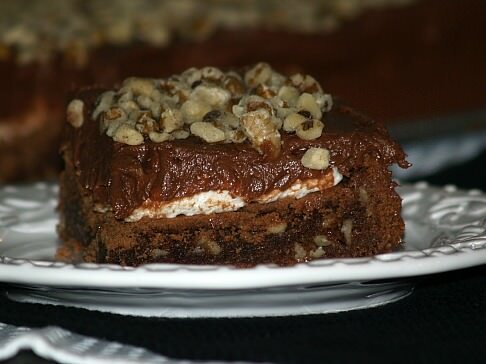 Chocolate Mississippi Mud Cake is the perfect dessert to include in your summer recipes. 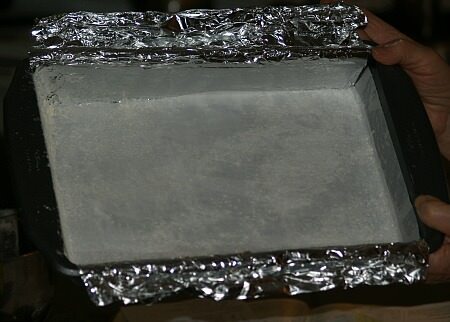 Preheat oven to 350 F degrees; grease and flour 9x13 inch baking pan. NOTE: I wanted to be able to lift the cake out to set on a tray for presentation so I lined the pan with foil leaving extra so I could lift it out of the pan. Cream together sugar and shortening; beat in eggs. Sift together flour, cocoa powder and salt; add to creamed mixture and blend. Blend in vanilla and nuts; spoon into prepared pan. NOTE: Batter is very thick. Bake for 30 minutes or until pick comes out clean. Spread marshmallows evenly over the top of cake; return to oven for 5 minutes. 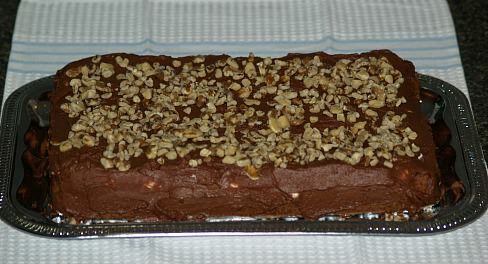 Frost cake with the following frosting. Combine all ingredients accept nuts; mix thoroughly and spread over cake.